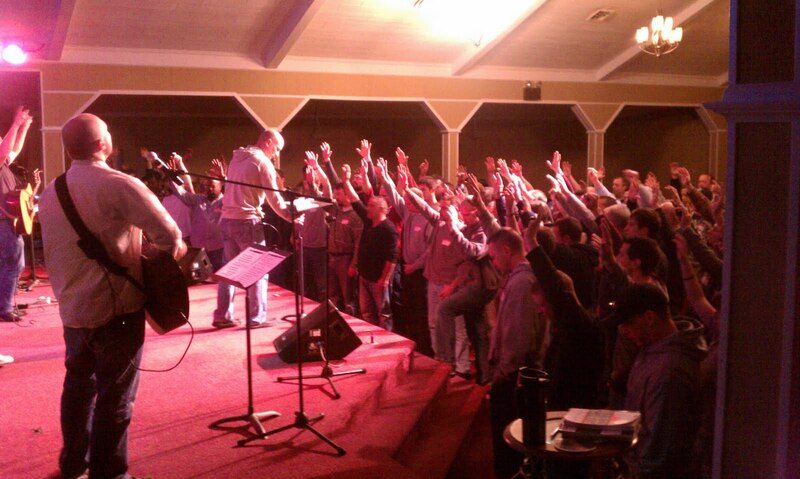 Our men's conference was absolutely fantastic! 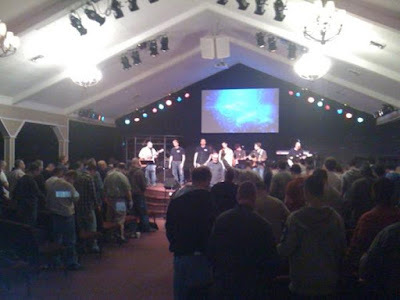 Paul & Brandon Cole from the Christian Men's Network (cmnworld.com), did an awesome job inspiring, encouraging & challenging the men of the house! Our men's team put together an excellent event that represented our church well & blessed the over 100 guys that came out! Here are a few thoughts that were shared in the sessions. -Victory is always on the other side of the fight! -Jesus is grace centered & all about your future. -A champion isn't a man who never fails, A champion is a man who never quits. -Maturity is the acceptance of responsibility. -Manhood & Christlikeness are synonymous. -Male by birth, Man by choice. -When you limit yourself, you limit God. -God commits to faithfulness, not charisma. -God never ends anything on a negative, but everything on a positive. -Create your life on the words of God, not on the words of people. -Faithfulness is the cornerstone of character. -God is looking at a man that will keep standing up when everyone else is bowing down. -Meekness is strength under control. -Confession of you mouth will create your world. -Love always appreciates, lust always depreciates. -To win in life you need wisdom, strategy for victory. -Whiner's talk about what they are going through & winners look at what they are going to. -Whatever captures your focus & attention will determine the direction of your life. -Legacy is never about the past & always about the future. -Courage is knowing that God is with you. -Your friends will carry you to your future. For more information, go to www.cmnworld.com & paullouiscole.com! "The righteous will flourish... planted in the house of the LORD, they will flourish in the courts of our God." Psalm 92:12-13 Here are 3 things that we will do as a church to make Jesus famous again in our generation! WE WON'T PLAY IT SAFE. Jonathan was willing to walk away from the safety of the “inner circle” to get things done. God never called us to play it safe. WE WILL ALWAYS ASK PERHAPS. WE WILL CREATE A CULTURE OF PASSIONATE PARTNERSHIP. We will have a church that carries the vision & stays in unity around the vision that God has given us. In his first letter to Timothy, the Apostle Paul revealed four distinct attitudes of maturity or levels of involvement among Christians that contribute to and build a flourishing Church. They are found in 1 Timothy 6:17-19. The first level of Christianity is enjoyment. We should enjoy the abundant life that Jesus has provided for us. That's the beginning. Christians who rise to this second level are those who have added to their enjoyment by committing to serve in God’s House. The key is to still keep enjoying God’s House (first level), and apply yourself to serve Him with good works (second level). ‘I will bless you and make your name great, and you shall be a blessing’ (Genesis 12:2). ‘Freely you have received, freely give’ (Matthew 10:8). The third level of Christianity involves a revelation of giving. Some people are happy to volunteer or serve in a role, but they never discover that it is more blessed to give than to receive. If you want to move to a deeper level of involvement in God’s House, you will need to expand in the area of giving. The fourth level of Christianity is about carrying the load, or as Paul put it, ‘willing to share’ (1 Timothy 6:18). Christians who share the load are the ones who will do whatever it takes to fulfil the vision. Love At Last Sight, Part 4- The Art of Letting Go! Men who trap animals in Africa for zoos in America say that one of the hardest animals to catch is the ringtailed monkey. For the Zulus of that continent, however, it's simple. They've been catching this agile little animal with ease for years. The method the Zulus use is based on knowledge of the animal. Their trap is nothing more than a melon growing on a vine. The seeds of this melon are a favorite of the monkey. Knowing this, the Zulus simply cut a hole in the melon, just large enough for the monkey to insert his hand to reach the seeds inside. The monkey will stick his hand in, grab as many seeds as he can, then start to withdraw it. This he cannot do. His fist is now larger than the hole. The monkey will pull and tug, screech and fight the melon for hours. But he can't get free of the trap unless he gives up the seeds, which he refuses to do. Meanwhile, the Zulus sneak up and nab him. -Charles Swindoll, Living Above the Level of Mediocrity, p.150ff.